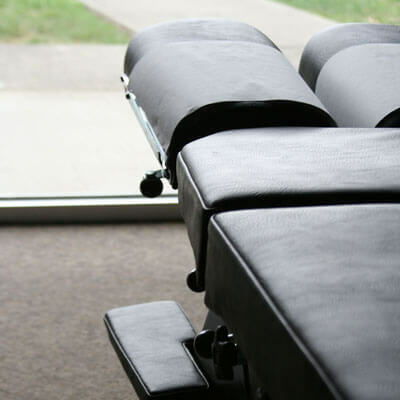 *We provide Spinal Decompression treatment for more serious spinal conditions such as herniated or bulging discs. We also offer Shockwave therapy which is effective for heel spurs, plantar fasciitis, tennis elbow, achilles tendonitis, and shin splints. Chiropractic is a natural form of treatment that optimizes how your spine, brain, and nervous system function. It is involves a deeper analysis to help understand your body’s needs. Precise corrections to the spine are used with our gentle approach to care using the Torque Release Technique®. The benefits you experience from chiropractic may include better sleep, enhanced energy, fewer aches and pains, less stiffness, and a feeling of greater relaxation. There are benefits both physically, and mentally. We find that patients under chiropractic care typically have an increased desire to exercise and eat well because their nervous systems function at a higher level, which motivates them to focus on other aspects of their health. We use scanning technologies to determine how well your spine and nervous system are functioning. Torque Release Technique® is Dr. Arora’s primary adjusting method. He is certified in it and has been using it exclusively for the past five years. It involves an instrument used on the spine to make the necessary corrections in the areas of nerve pressure. It’s gentle and quick, allowing your nervous system to immediately shift and your body’s physiology to improve and function normally right away. Before giving you a chiropractic adjustment, we’ll perform a series of tests to understand your needs. This includes using our computerized scanning technology, and a spinal and nerve exam. We refer out for spinal x-rays only if absolutely necessary. Contact Arora Family Chiropractic today to book your first appointment! We accept MPI and WCB claims and bill directly for them.